This gorgeous Swiss timepiece tracks activity and sends you notifications, but its intelligence is more annoying than useful. I have a ridiculous problem: I love the classic look of a luxury watch, but I want the high-tech features of an activity tracker. (Hey, I never said it was a major problem). Unfortunately, most fitness bands are hideous. So when watch-maker Frederique Constant released a brand new line of gorgeous Swiss timepieces that promise to accurately track your sleep and steps, with notifications to boot, I had to have one. The company sent me a stainless steel and rose gold-plated review unit from its new women’s collection. At $1,095, it’s definitely pricier than any smartwatch, activity tracker, or combination thereof. 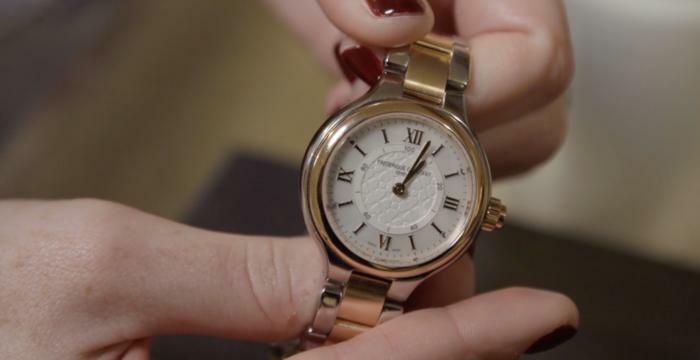 Frederique Constant makes slightly less expensive smartwatches—their newest women’s collection ranges from $750 to $1,295, and the men’s options are similarly priced—but they’re all significantly more than your average fitness tracker. But the model I used for two weeks looks and feels as luxurious as its price tag would suggest. Where the watch falls short is the smart part. Last year my editor Jon Phillips raved about Frederique Constant’s first-generation smartwatch. He loved the sophisticated Swiss aesthetic, generous 2-year battery life, and the built-in motion-tracking tech that allows the watch to count your steps and monitor your sleep. The second-generation model I tested has all of those features, plus smartphone notifications. Looks and battery life are important to me, too, and if Frederique Constant stopped right there, I would love this watch a whole lot more. No other activity-tracking watch looks as good as this one does. The 34mm model I used from the women’s collection is perfect for small wrists, which is always my biggest struggle with watches, fitness bands, and even plain old bracelets. The two-part watch case is made of stainless steel with a rose gold-plated bezel, with a convex sapphire crystal display covering a silver dial with mother of pearl accents. Everyone who spotted this watch on my wrist in place of my go-to rose gold Apple Watch Series 2 commented on its beauty. But that’s where my appreciation for Frederique Constant’s second-gen smartwatch ends. The activity insights are bare-bones. 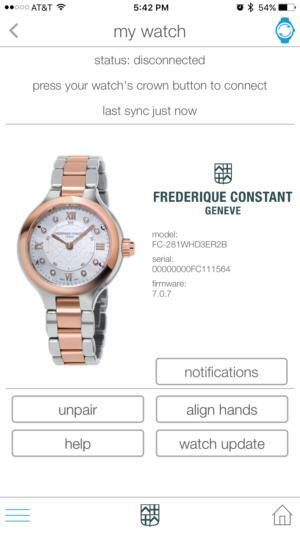 Frederique Constant’s original Bluetooth smartwatch tracked sleep and steps based on goals you set up in the iOS or Android app, and the new model does, too. The activity and sleep analysis is pretty lightweight. I run every day, but running with this watch is a little uncomfortable because the stainless steel becomes slick with sweat on your wrist (TMI perhaps, sorry) and the data you get isn’t useful. 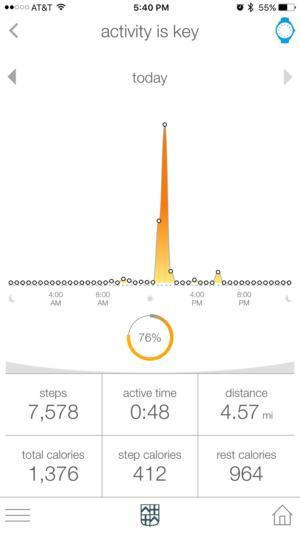 You’ll see steps, active time, mileage, and calories burned, but no deeper insights. The sleep stats are also pretty basic: light sleep, deep sleep, and wake time. I do appreciate the alarm you can set up so your watch will vibrate when it’s time to wake up, but that vibration was more effective on my nighstand, where its loud buzzing woke me, than on my wrist. The difference between the first-gen and second-gen Frederique Constant smartwatches is how each presents sleep and activity stats. The first version displayed daily step and sleep progress on a subdial within the broader watch face, which made it easy to view at a glance. The new model eliminates the subdial in favor of new icons on the outer dial. You press the crown and the watch hands move to display your progress. For an activity update, press the crown once and the long hand will spin to the activity icon, a figure walking. The short hand will spin to the numeral that corresponds with the goal percentage—6 for 50 percent, 9 for 75 percent, etc. Press the crown again and the long hand will spin to the sleep icon while the short hand moves to your sleep percentage. If you’ve surpassed 100 percent, the short hand will spin around the dial once and then stop at the corresponding numeral. Getting the watch to sync is a frustrating exercise. If you’re not paying close attention to your watch face while this watch hand activity is happening, you’ll miss the movements movement and have to start all over, which is irritating. The other big change is smartphone notifications. In the MMT–365 app, you can change your settings so the watch will vibrate and notify you when you’ve received a call, text, or email. I had trouble getting the phone call notifications to come through at first, though eventually unpairing and then re-pairing the watch did the trick. But the notifications aren’t that useful. First, the vibrations are so subtle as to be completely unnoticeable. They feel just like move alerts, which you can also set up in the app to nudge you when you’ve been inactive for too long. And if you’re not looking at your watch while the hands spin to the corresponding notification—icons on the outer dial that signify a call or message—then you won’t know what you’ve missed or when. Looking at your phone is quicker and easier. I also had trouble with the most basic of smartwatch functions: syncing to my phone. You have to open the MMT–365 app and press the watch crown to force a sync, but even that didn’t work reliably. My editor also had trouble syncing the first-gen model to his Android phone, but chalked it up to Android troubles. I had the same exact problem using the second-gen version with my iPhone 7 Plus running the latest version of iOS 10. I would have to press the crown multiple times, and even then I would often have to close out the app and try again before the watch would finally sync. If only looks were everything. Unfortunately, this watch is too expensive and falls far short of its promises of intelligence. 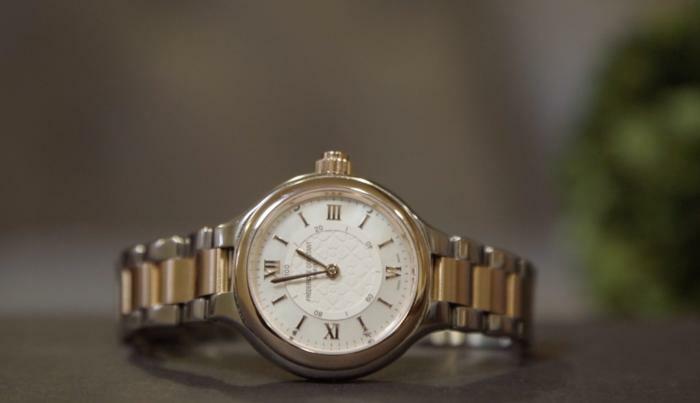 Frederique Constant makes undeniably beautiful Swiss timepieces. But I quickly tired of all the notification vibrations, which seemed to signify nothing, and of having to press the crown to see anything meaningful beyond the time. These coaching tips are not helpful. 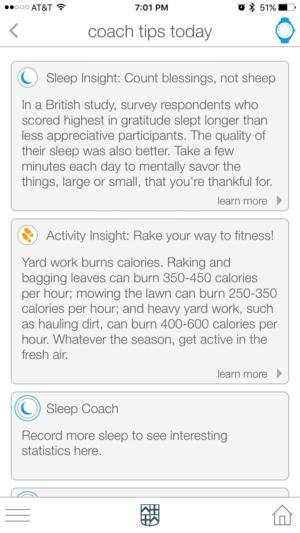 The syncing issues and the generic fitness tips (in-app alerts called “dynamic coaching” that seemed about as tailored to me as a BuzzFeed health listicle) poured more sour icing on top of a very beautiful cake. If you want a beautiful watch with basic fitness-tracking functionality and are prepared to spend almost as much money as you would on an entry-level MacBook, then Frederique Constant makes just the device you’re looking for. I’m still searching for that elusive mix of style and smarts for a much lower price.